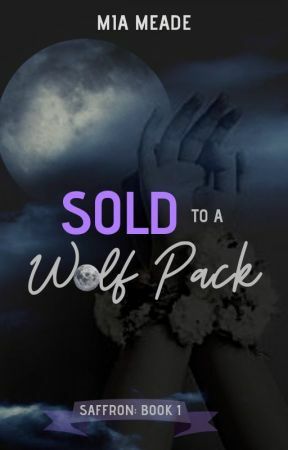 I hope you&apos;re enjoying Sold to a Wolf Pack so far. I try to act casual while I clean, even though my heart is racing. If Nicki realizes I&apos;m hatching an escape plan, I could be minutes away from being locked in a dungeon. "A lot." Nicki grins. Not helpful. Unless she knows I&apos;m planning to run away and she&apos;s telling me not to bother. "Do you like it here?" I try again. Maybe if I can get her to talk about her life, she&apos;ll naturally reveal something useful. Nicki nods. "I shifted this summer, so I had to stay with my sister until school started." She pretends to gag. "Then Nisha—she&apos;s my best friend—shifted too and we got our own room." Nicki grins. "So everyone moves to the pack house after they first shift?" I ask to confirm what my roommate told me earlier. "Yup," Nicki replies, popping the &apos;p&apos;. "What&apos;s the Alpha like?" I ask conversationally. "He&apos;s okay," Nicki shrugs. "I like Luna better. She&apos;s really nice." I wonder if POW is Alpha Patton. I try to imagine him being married to someone nice, but the only image that comes to mind is of a female body builder. Her muscles ripple and her face contorts into a scowl, so I quickly push that mental image aside. For all I know, there might be a Wolf who outranks POW—a Wolf  they call Alpha—and he might be nice... or maybe that&apos;s just wishful thinking. I attack the floors with the mop and continue to question Nicki while I work. "Does the pack have any slaves?" I ask. It feels weird saying it out loud, but I don&apos;t see any other way of getting the information. "Slaves?" Nicki shakes her head, eyes wide. "Slavery is wrong. Didn&apos;t you learn that at school?" "I guess?" I mumble. Am I the first slave POW&apos;s purchased? Or does he just have a different name for us? Employees? Housekeepers? Omegas? "Miss Elmers says slavery was ab-nolished," Nicki adds. "You mean abolished?" I correct. "Aha," Nicki nods emphatically. "People can&apos;t be slaves now. It&apos;s not right." "It&apos;s not." I nod. Nicki just rolls her eyes like she thinks I&apos;m crazy. I consider asking her some more questions, but I don&apos;t want to push my luck. There&apos;s a fine line between a curious Omega and a Rogue trying to dig for information, and that&apos;s one line I know not to cross. Sighing, I focus on dusting and putting away all of my roommate&apos;s stuff. As I work, Nicki tells me about her best friends, Nisha and Joshie. "Joshie always wins when we race at recess," she tells me, "but I win when we race after school." "You do?" I ask absently. I&apos;m hardly paying attention anymore, not after listening to Nicki describe what she and her friends each had for lunch every day this week. "Joshie can&apos;t shift," Nicki stage whispers. "Nisha can, but I shifted two whole months before she did, so I&apos;m faster." My smile is all the encouragement she needs, and Nicki starts telling me who&apos;s better at Math (Nicki&apos;s better at division, but Nisha has the entire multiplication table memorized), French (Joshie, hands down), Spelling (Nisha again), Art (Nicki, of course), and PhysEd (Joshie, who was the only kid who managed to climb to the top of the rope on Friday).